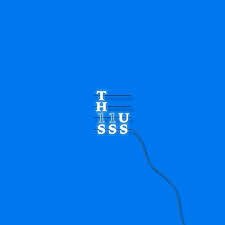 BtoB Reach a New High in "This Is Us"
I had heard many, many good things about BtoB’s latest album This Is Us even before even listening to any of the tracks, so I had high expectations, and in all honesty, they absolutely shattered them with their newest release. 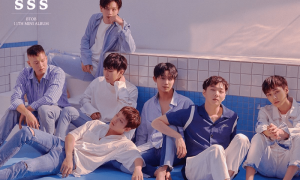 “Chill summer vibes” is the perfect description for their eleventh mini-album. As the album title suggests, this is a collection of releases that really sums up BtoB as a veteran group — extremely talented, versatile, and simply fun. 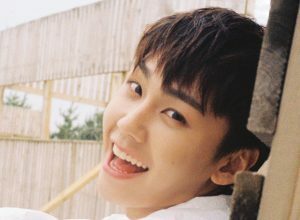 The lead track is “Call Me”, a mellow pop song with hints of soft rock and faint elements of tropical house to match the summer season. What’s really evident in this track is the effortlessness in the members’ singing and rapping. From the rap line’s laid-back and relaxed styles to the vocalists breezing through the high notes, it’s such an easy listen for both fans and non-fans to enjoy. The effortless style is something that is evident in all of their tracks. Even when slowing things down in “Only One For Me”, the rhythm is kept moving with the seamless interplay of rap and vocal lines. While the group is known for their vocals, their raps are very much underrated — they have such a strong group of rappers each with their own distinct style (that also stands out from other rappers in the K-pop industry); even if a track were to be entirely composed of just rap lines, it would not get boring. The next few tracks are more on the experimental side, while still keeping that characteristic easy-to-listen sound that BtoB is known for. “Yeah” is fun, sweet, and bubbly with cute electronic synth melodies and beats in the background to spice up your typical love song. If “Yeah” is the perfect song for a daytime date, “Blue Moon” – as the name implies – would be the appropriate track for evening out at the jazz club. With heavy blues influence, the vocalists take on this musical style with ease especially with the harmonisation towards the climax of the track. This is easily my favourite off the album. “Ice Breaker”, a special track by the three rappers on the team — Ilhoon, Minhyuk, and Peniel — opens with a quirky whistle tune and a simple keyboard melody that serve as the background to their casual and relaxed rapping. Another song that was a serious contender for top spot in my books was “1, 2, 3”. It’s more on the sultry side with the members’ passionate performance, but things are still kept light with the unusual synth melody that really should not work, but does. “The Feeling” rounds off the album, and it’s the perfect track to do so. With strong reverb and a vocal chorus to accompany the main melodic line, a liberating feeling is achieved. The spine-chilling moment comes towards the end, when the background instrumentals are stopped and all the members come together in amazing harmony to finish off on an incredible high. Known for their ballads, BtoB has not only delivered delivered, but given us so much more in This is Us. Instead of just relying on traditional ballads, they explore their own capabilities with such a diverse range of styles and genres, all the while maintaining an effortless sound even with those incredible vocal and rap lines. It’s so heartwarming to see BtoB steadily climbing to the top with an album that truly encompasses who they are.